Streaming movies on Netflix should get faster. Comcast confirmed Sunday that it will allow Netflix to connect directly to its broadband network. Netflix will pay Comcast for the access, the Wall Street Journal reported, citing sources familiar with the deal. It did not cite specific terms of the deal. Comcast (CCV) and Netflix would not confirm that arrangement. In a statement, Comcast said the more-direct pipeline is "already delivering an even better user experience to consumers." That means the direct pipe has already been established, a source confirmed to CNNMoney. Netflix (NFLX) and internet service providers have been at odds over the huge amount of bandwith Netflix streaming eats up. At peak times, Netflix traffic can be one-third of all U.S. broadband network traffic. Internet service providers have wanted Netflix to pay them for the bandwith. The dispute apparently slowed Netflix streaming speeds for customers of Verizon FiOS by 14% earlier this year. Speeds for Comcast customers have also been sluggish. Verizon (VZ) is currently in talks with Netflix as well, the Journal reported. Comcast is the No. 1 cable company, with about 23 million subscribers. It has entered into an agreement to buy Time Warner Cable, which has 11 million subscribers. 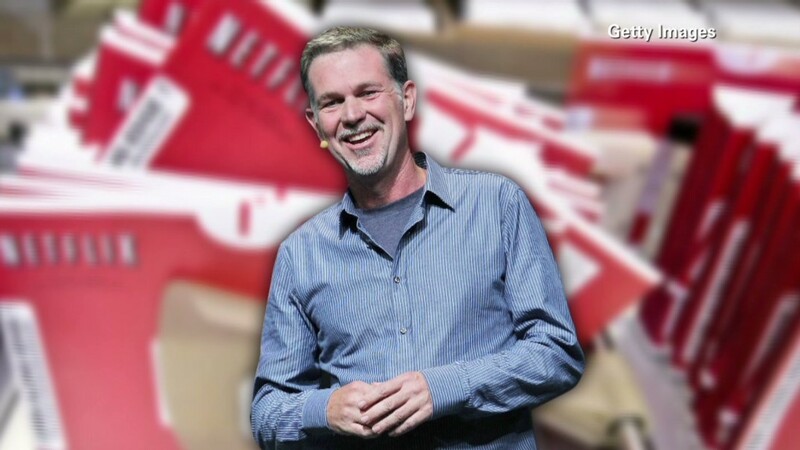 A person close to the deal told CNNMoney that Netflix chief Reed Hastings and Comcast head Brian Roberts struck the agreement in early January at the Consumer Electronics Show, and have been working on implementing it since then.